We’re here to talk to you about idols! 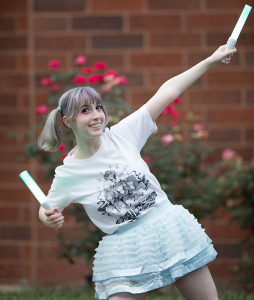 The idol world can be a very fun and creative place to show your fandom, and Anime Weekend Atlanta is happy to help encourage idol culture with musical guests and our very own Starlight Idol Festival. But what’s the appeal of idols, and how did this boom come to be? You’ve probably heard of at least one or two idol groups, especially with the rise of idol anime. You’ve seen Babymetal’s Give Me Choco concert music video. But what exactly is an idol? While it’s hard to find an exact definition of an idol, it can be generally summed up like this: idols are amateur performers who are marketed as cute, pure at heart, multi-talented, and more accessible to fans than your average pop stars. You’ll find idols focusing on singing, acting, modeling, appearing as TV personalities, and much more. There are traditional idols, idols that don’t follow those traditional molds, and even anti-idols, or idols that actively break away from the norms of what you’d expect. They even cover all sorts of different themes, from Akihabara culture and Harajuku fashion to food, gaming, and even fishing. There’s an idol group for everyone! Idols are most well-known for their fan interaction. Ranging from handshake events to high-five and picture sessions to stage diving (more on that later), idols are always reaching out to their fans to show they care. In return, fans can chant and cheer during their concerts, waving light sticks of all sizes and colors, to show their overwhelming support for their favorite members and groups. It’s basically “༼つ ◕_◕ ༽つ TAKE MY ENERGY ༼ つ ◕_◕ ༽つ” but in real life. The idol era actually first began in the early 1970s but didn’t truly boom until the 80s, which is considered the “Golden Age of Idols.” A younger generation of cute pop stars dominated the charts, and new up-and-comers consistently shined as fast as they faded into obscurity. Idols saw a lull in 90s, but once the early 2000s rolled around, groups like Morning Musume and AKB48 made themselves into household names. Idols were surging back into pop culture once again, their popularity growing exponentially with no end in sight. And in 2017, idol groups continue to dominate. With idol anime, idol festivals, idol cafes, idol talent on TV, it’s hard to not see idols infiltrating every aspect of Japanese culture these days. Their presence is almost overwhelming in the current industry, and it’s opened up all sorts of new opportunities for artists and performers to explore new genres and styles. This is especially apparent in the underground and indie scenes, with the birth of “chika” idols. The chika idol scene is where you find a vast amount of variety and individuality. Rather than showcasing what some consider the “manufactured” feel of pop idols, chika idols break the rules and traditions of idol culture and explore different themes and styles. Some of them can get rather rambunctious and ride the crowd in an inflatable boat or walk on a line made of their fans’ backs. Some even have fans line up in a row to be slapped or stepped on. That’s not always the case, obviously, but it’s a wild ride no matter who you watch, testing your perceptions of what being an idol even means. The rabbit hole can go much deeper and can be much more exciting than you think! Whether it’s the masked destroyers in Kamen Joshi, or “the mahou shoujos for love, bravery, and magic” in Junjou no Afilia; no matter your interest, there is an idol group for you! Idol group fans, or wota, have definitely helped shape the idol world into the way it is today. The community itself becomes a part of the show when they chant, dance, and express their admiration with passionate penlights at their favorite idol’s lives. The idols love them too! It brings a lot of energy to the show and connects the audience and performers together in a way that no other stage performance can! When in Japan, don’t be afraid to venture to a show! Idol lives are becoming increasingly more foreigner friendly, with some festivals and shows giving you a discount or allowing you to enter for free under certain conditions. 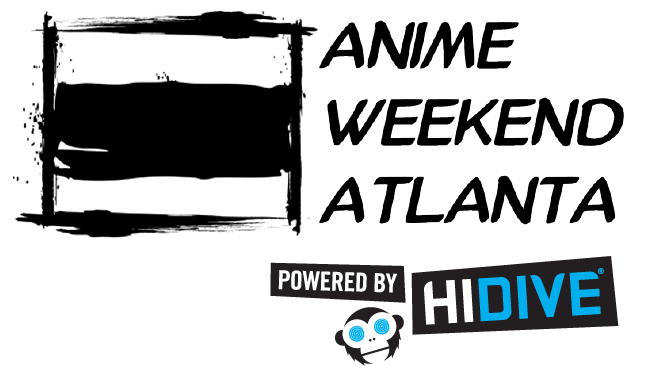 Of course, not everyone can make it out to Japan, so be sure to check out Anime Weekend Atlanta’s great performances! You can still chant and dance to your favorite anime songs! If you are looking for something with an idol flair, the annual Starlight Idol Festival showcases idol-style singers and dancers from all over the country! Grab your light sticks and unleash your inner wota with fan-favorite songs from talented performers! This is all just the tip of the iceberg. The world of idols is vast. It might even seem daunting, but the real core of idol culture is to have fun and share that happiness with the world around you. Do you think you have what it takes to be a wota? Stay tuned for more idol info (there’s a lot to go over! ), and be sure to check out both Anime Weekend Atlanta’s awesome concert lineup and the Starlight Idol Festival. But be warned. You may never want to leave the sparkling wonders of the idol realm.